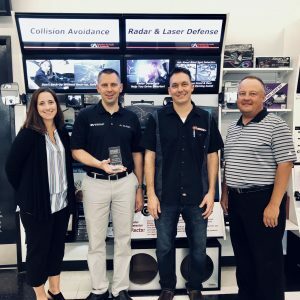 Columbus Car Audio & Accessories was started in 1978 by two Columbus residents specializing in car stereos and citizen band radios with one location located on East Main Street. 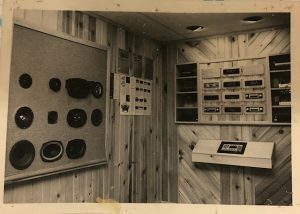 Back then, the business operated as CJ’s Car Stereo, with the name Columbus Car Audio & Accessories being born in 1987. In the early 90’s with citizen band radios declining in sales and popularity, cellular phones and service were brought in making the company one of the first Cellular One Agents in Columbus. In 2002, the current owners, husband and wife team Todd and Danielle Hays, acquired a portion of ownership from Danielle’s father, who was an original owner. Over the next several years, they consolidated stores to streamline operations, created a company Mission and employee Values and Standards, and got the business involved with local charities. Todd and Danielle also ensured that CCA changed with the times, bringing in new and diverse product lines; such as window tinting, leather interior, and paint protection film. CCA now offers motorcycle audio, marine audio, radar detector installation, vehicle detailing, and much more. The company now employs 40+ employees with the average employee tenure being 9 years and operates out of 2 locations; Morse Road near Easton and Reynoldsburg. Todd and Danielle credit the success of the company to its customer relationships; focusing on not just selling a product but giving the customer trust that their vehicle is in the hands of the experts. In 2018, CCA even won the Mobile Electronics Industry Award for Best Customer Experience. In January 2019, the Reynoldsburg location moved into a much larger and updated retail space including an expanded garage. With this newer and larger store, CCA hopes to reach even more car enthusiasts in the Central Ohio area. 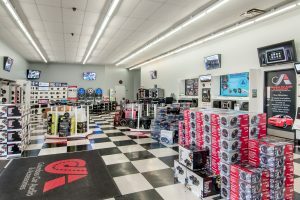 Columbus Car Audio & Accessories is the premier choice for people who want to create a unique and rewarding driving experience through the sale and installation of mobile electronics and accessories. We strive to be so good, even our competitors refer clients to us. Columbus Car Audio & Accessories applies innovative aftermarket solutions to craft an exceptional driving experience that makes your vehicle better than ever. Integrity – We will treat our clients, their vehicles, and each other with honesty and respect. Quality – We will provide the highest level of products and services to enhance every client’s experience. Attitude – Having a positive outlook will allow us to come with solutions not problems. Ownership – We will be responsible for our actions and outcome; and own everything that takes place in our work and our lives. Innovation – We will always question the status quo and look for the best solutions. Teamwork – We will work as a team with focus on cooperation and always come to a resolution, not a compromise. Balance – We will complete our work and our most important tasks first, so we can have quality time to ourselves, with our families, and to renew. CLICK HERE to Meet the CCA Team!